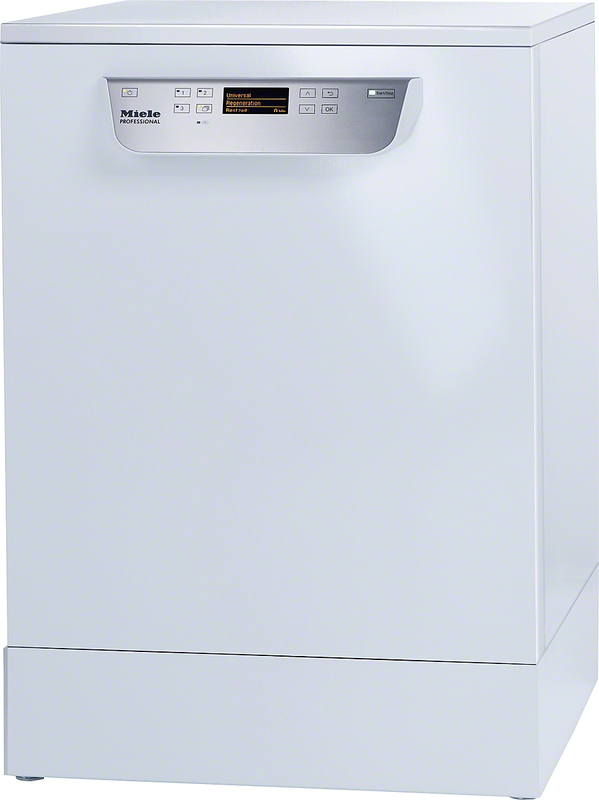 In the science lab and medical room, Miele glassware washers offer high-grade disinfection, time after time. Infectious bugs are inactivated. Harmful solvents are replaced by water. Automated cleaning reduces breakages - and student injuries. In laundry and janitorial rooms, Miele washers and dryers clean muddy sports kits, mop heads and dirty lab coats with equal finesse. Miele Professional's education range offers features like drainage valves, and fabrics washed to sterile standards like EN ISO 15883. And whatever solution you choose, the sums always add up - because Miele's economy is in a league of its own. When it comes to education, Miele Professional is clever all-round. With the Miele Professional Cost Calculator, it's easy to see how much you can save by choosing Miele instead of outsourcing your laundry. Miele Professional's range has long been known for its energy efficiency, long working life, and reliability - and now, you really can see the savings for yourself, before you decide to buy or lease. As part of our pre-sales support and advice, an expert Miele Professional Partner will conduct a detailed analysis of your requirements and feasibility calculations. Together, you can explore the savings available with different solutions from the Miele Professional range, and different purchasing or leasing contracts. The things we don't see at first glance often turn out to be the most important. Working in a laboratory setting, you recognise this more than others. You look beyond the surface, and examine inner details. You quantify processes, weight evidence, and seek optimum outcomes. What happens when you use your skills to examine the Miele Professional range of laboratory glassware washers? Inside every washer-disinfector from Miele Professional, there are innovative features designed for optimal flexibility, economy, and control. Miele Lab Cleaning machines allow for the most precise and powerful processing of all forms of laboratory glassware - such as wide and narrow necked glassware, pipettes, beakers, funnels, and test tubes. Lift the stainless steel access panels, and more features emerge. Optional water demineralisation is provided by Veolia reverse osmosis units, or water demineralisation cartridges. Models can be configured with PerfectPure flow sensors, or HEPA filters. Dispensers may be chosen for liquid acidic agents, chemical disinfectants, liquid detergents, and emulsifiers. Look beyond the precision engineering, and you will see Miele Professional's expert advice supporting each user. Helping laboratories to select and install their new system. Providing servicing, and enabling end-to-end process documentation. When you examine the evidence, Miele's advantage is clear.